We’d love your help. 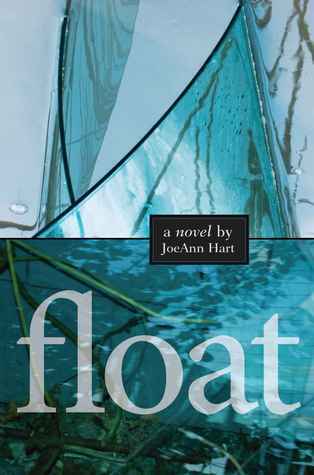 Let us know what’s wrong with this preview of Float by JoeAnn Hart. To ask other readers questions about Float, please sign up. Wonderful — and funny! My apologies to this book, which I left adrift on the shelf, thinking a drama about infertility, over-fishing and polluted oceans might not appeal. Fortunately, I picked it up first thing after listening to a TEDxRainier talk about ocean conservation by Seattle Aquarium President Bob Davidson. I was delighted and, by the end, absolutely cheering the craft and wit. It's flows from sentence to paragraph, scene to plot with waves of cleverness and insight. My only regret is tha Wonderful — and funny! My apologies to this book, which I left adrift on the shelf, thinking a drama about infertility, over-fishing and polluted oceans might not appeal. Fortunately, I picked it up first thing after listening to a TEDxRainier talk about ocean conservation by Seattle Aquarium President Bob Davidson. My only regret is that I read this in the middle of winter inland. This book may be the quintessential beach read. It has fun with serious issues and would make a great summer movie (pairs well with The Green and the Red by Armand Chauvel). Well, here I am, gushing over another book. But, really, what's better than a great book that catches you by surprise and has you highlighting sentences? Clean oceans, maybe? Writers read this for: setting (sea and seaside fishing town), character (fantastic sympathetic protagonist, antagonists and foils), use of metaphor (all spot on and thematic with the ocean theme - frothed to perfection and not overdone). "You can make something out of anything, my friend, if you put your whole heart in it." "If we want the rest of the world to stop trashing the water we have to set the example." 'What's good for the sea life is good for our life!" "I felt that it was possible for the world to be saved as long as at least one person learns something and acts on it." "'We can't do everything.' 'No, but we can do something.'" At its best, which is often, FLOAT reads as if written by the secret daughter of P.G. Wodehouse and Rachel Carson, at once hilarious and gracefully disturbing. A real delight. Started out with good character development but the plot unraveled by mid-book. The end was just silly. Float is a multifaceted gem of New England life. Duncan Leland, called home after his father's death by drowning, is running his family's fish parts processing plant in coastal Maine...running it into the ground. His life is falling apart. His wife has been trying to get pregnant and cannot put up with his dithering dreaminess. His ex high-school girlfriend has her eyes on him again. His business is bankrupt and the only money available comes from a stranger who is undoubtedly connected to the B Float is a multifaceted gem of New England life. Duncan Leland, called home after his father's death by drowning, is running his family's fish parts processing plant in coastal Maine...running it into the ground. His life is falling apart. His wife has been trying to get pregnant and cannot put up with his dithering dreaminess. His ex high-school girlfriend has her eyes on him again. His business is bankrupt and the only money available comes from a stranger who is undoubtedly connected to the Boston mob. Add to this a mother who lives a nautically themed fantasy life, and has not left her house in several years; and a brother whose main goal in life is fulfilling his mother's sailing fantasies. She is powered by perhaps hallucinogenic mulberry wine which has been marinating in the cellar for several decades. Did I forget the mysterious death of an "installation artist" who disappeared from town 20 years ago? 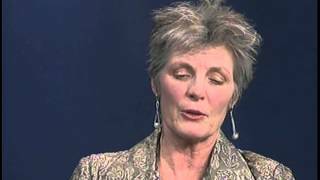 JoeAnn Hart brings her skills of insight and humor to this whirlwind of relationships, and adds a classic Nor'easter to the mix to get things up and floating. One of the great pleasures of this novel are the minor characters with major issues who swirl around Duncan and his family. Slocum, his best friend, is a chef whose seafood creations represent the edge of culinary experimentation and risk. The employees of the fish parts factory are alternately helpful, or bent on sabotage. Josefa is the addled savior of seagulls, and Osbert the mobster quotes Winston Churchill. Duncan Leland's business and marriage are drowning in a sea of forgetfulness. If Duncan soon doesn't do something he'll lose them both. Duncan is caught rescuing seagull on camera becoming something of an overnight sensation. Duncan and his wife Cora are trying to get pregnant through invitro fertizlation. Duncan has strange relationship with his mother and brother. Duncan is offered a way to save his company and jumps at the chance reluctantly. Can Duncan's business be saved? Can Duncan's marri Duncan Leland's business and marriage are drowning in a sea of forgetfulness. If Duncan soon doesn't do something he'll lose them both. Duncan is caught rescuing seagull on camera becoming something of an overnight sensation. Duncan and his wife Cora are trying to get pregnant through invitro fertizlation. Duncan has strange relationship with his mother and brother. Duncan is offered a way to save his company and jumps at the chance reluctantly. Can Duncan's business be saved? Can Duncan's marriage be saved as well? Will Duncan remain in a sea of forgetfulness? Your answers await you in Float. This is a gloriously funny and perceptive book with an unpredictable plot, populated by unique characters. Cleverly titled, it’s about impending financial ruin, the abundance of plastic that washes up on beaches, a rescue centre for seagulls and art – amongst other things. A terrific read, unfortunately let down by the fact that half the pages are falling out! Loved this book. Totally got me into her world, her characters so wonderfully flawed. Great turnaround by the end and also great criss-crossing plots to get there. But the writing is truly excellent, like a great skier coming down an impressive mountain. I read it, read another book and half way through put it down, went back and read Float a second time. Even better. More, please . . . Plot sounded really interesting but I couldn't get past the first chapter. Absolutely drowning in excessive adjectives and similes like "marriage began to spiral down the drain" and "those worries began to bloom like algae in a stagnant pond". Great story. Once I was finally able to sit down long enough to really get into this I couldn't put it down. Story was very entertaining. Many parts funny and others seemed like things that anyone could find themselves stuck in. You need to read this book!!! Pretty good book. It got boring at some parts, but overall, not that bad. Almost hopeless enough that I stopped caring about him, there was enough crazy that I wanted to see where it all ended up. promised to be amusing, by 30 pages was not. A humorous take on families, art and the environment, but there is too much going on and I predicted the surprise early on. Well done! Enjoyed the mystery behind the story. I liked this story and it's wonderful tidbits of advice. I found humor and startling events that made the book very entertaining. Laugh out loud funny about a chilling topic. The environmental disaster that is plastic is handled with wonderful dark humor. A great companion to this book would be "Plastic Free." Not a fan! While it was well-written, I did not like the characters. Everyone was weak and weird. Not my cup of tea.